Basic rules of the game can be found here. Parents should be aware of the relevant Club, Association, State and National policies that apply to our competition that are listed here. You are reminded that you are bound by Basketball Victoria’s social media policy. Please be always think before you post any status or comments that may be deemed inappropriate. Communicating with Coaches - wait 24 hours after the game to raise any concerns, raise them via the Team Manager in the first instance. So as not to disturb other teams already training, teams should not enter the venue before their assigned training time. Players must not to be left unattended at the gym until the coach is present before training. And after training, all children should be collected promptly. The club bears no responsibility for children left at the gym outside their designated training hours or not in the presence of their coach or parent. Siblings present at training times should be supervised by their parents and must not be allowed to climb on the rails in the gym, nor play on the court while teams are training. The club will not bear liability should a sibling become injured or cause material damage during training time. Under no circumstances are unfinancial players or children not known to the Admin Officer permitted to train with Aberfeldie Jets. Coaches who allow children to train without written permission from Aberfeldie Jets will be personally liable for any injuries or material damage caused by such children. All teams are to vacate the court promptly once their training has ended so the next team may start or if the session is the last session for the night that the venue can be secured and we keep the schools happy. We encourage all players to attend training as it is at training and not games where coaches develop team concepts and plays as well as individual player development. It is common courtesy to let the coach and/or team manager know if your child can't make it to training. No player can expect fair and even court time if their attendance at training is irregular and unpredictable. As a courtesy to other teams please ensure you do not enter the gym until the allocated time and that you depart on time. The Coach is there to train the children and develop their basketball skills. Given the age of the children and the fact that they may not be comfortable being left alone, please ensure you remain at training and games to assist with supervising them. If you wish to assist with the Coaching at training or participate in the drills have a chat to the Coach, you will need to be registered with the Club and also have provided me with a copy of a valid working with children check before participating. sports. You can read more about scoring here. Basketball is lots of fun to watch and be involved in, we do hope you enjoy being a part of it. Our normal uniform colour is ROYAL BLUE. The uniform clash and priority listing has our club 1st in line for the royal blue contrast group. When two Aberfeldie Jets teams are playing each other, the team listed first will reverse their reversible singlets and wear white. 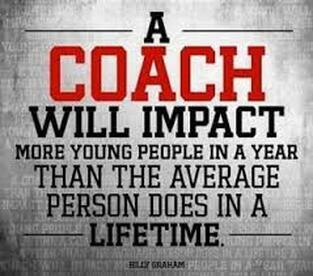 Thinking of coaching? Info can be found here..
Are you interested in becoming a coach?